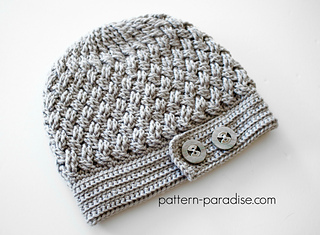 I love the woven look of this hat and how it terminates into a textured band. 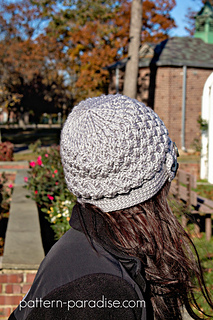 The crown radiates from the center into the woven section, unlike many hats that simply start in half double crochet. 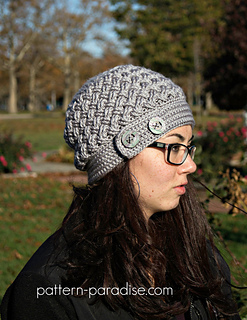 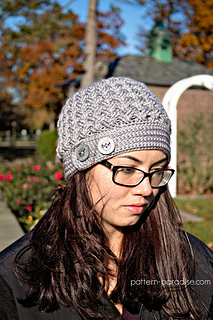 This is such a flattering hat and perfect to keep your head warm on cooler days.